Poroshenko and Turchynov will visit Donetsk and Luhansk regions to check the signal quality. The State Service of Special Communications and Information Protection has launched a system of countering anti-Ukrainian broadcasting in the antiterrorist operation (ATO) area in Donbas. The system was launched on Thursday, 19 April on the president's instruction. "The system was created on the basis of domestic technical solutions and performed well during tests in real conditions. The system equipment is turned on and adjusted along the line of contact in the ATO area," the head of the state service, Leonid Yevdochenko, said. 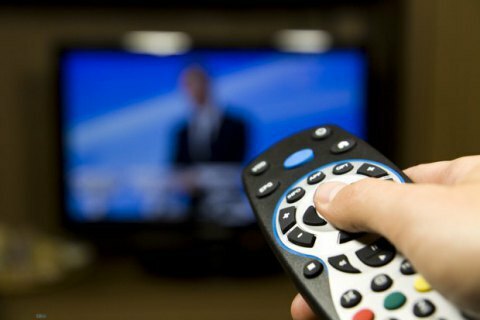 He also noted that the system blocks analogue and digital television signals transmitted to the ATO area from the temporarily occupied territories of Donetsk and Luhansk regions. It can block more than 40 channels. According to Yevdochenko, the equipment meets all modern security requirements. "I would ask you to ensure the reliable protection of the counteraction system of our transmitters both as a system for countering anti-Ukrainian broadcasting in the ATO area and for protecting Ukrainian transmitters," Poroshenko noted. He also thanked and congratulated everyone who participated in the development of the system. Petro Poroshenko plans to visit Donetsk and Luhansk regions soon together with the secretary of the National Security and Defence Council, Oleksandr Turchynov, to inspect the quality of Ukrainian broadcasters' signal. He also recalled that in a few weeks Ukraine would move from the antiterrorist operation to the Joint Forces operation in accordance with the law on reintegration of Donbas. As reported earlier, in late March, UA|TV, which is part of the state-owned company Multimedia Platform for Ukraine's Foreign Broadcasting, began to broadcast in a test mode to annexed Crimea and occupied territories of Donetsk Region. In August last year, the television and radio tower in Chonhar (Kherson Region) began a test broadcasting of Ukrainian TV channels UA:Crimea, Black Sea Broadcasting Company, ICTV, 5 Kanal and Pryamyy to northern Crimea controlled by Russia.